The Sta-Rite S5P2R-VS is a self priming variable speed circulation pump which can be used as a direct replacement for any single phase 5P2R pump. The 5P2R is one of the most popular pumps in the UK pool market. Pentair have improved the standard pump with a 1.5HP permanent magnetic motor and built in controller. 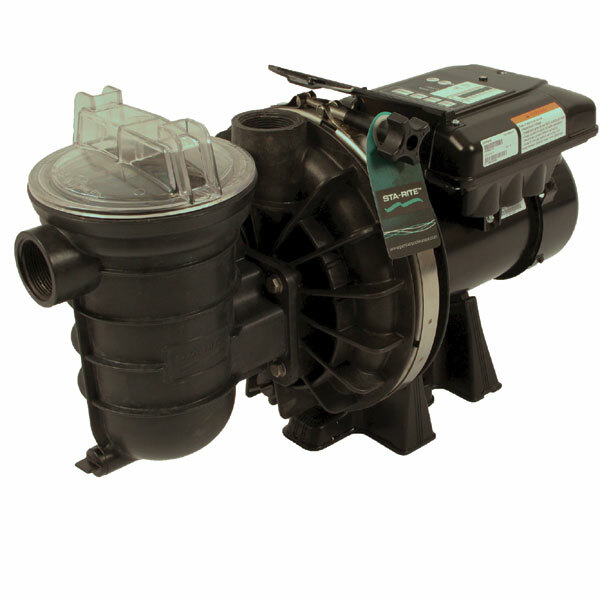 This variable speed pump is ideally sized for most standard pools. 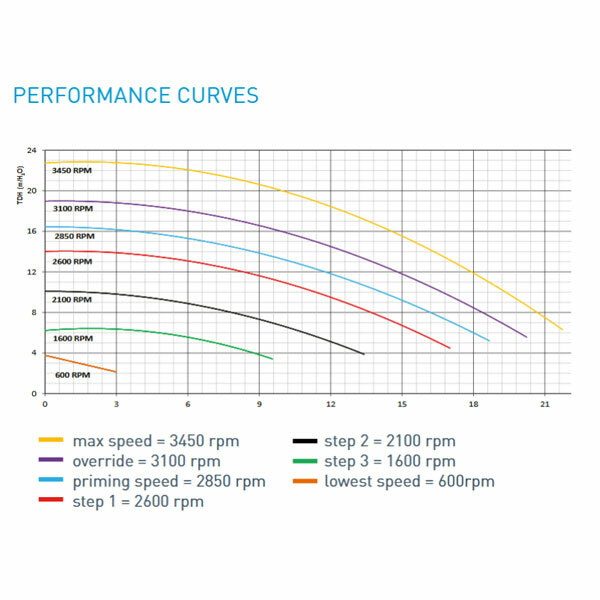 Permanent Magnet Motors far exceed the current IE3 "Premium efficiency" class. The controller features its own graphical control panel for easy programing of up to 12 different speeds. This is achieved by running the pumps longer at reduced speeds. Your pool water can still turnover the required amount so you will not suffer any water quality issues, in fact during testing Pentair reported better water quality with less chemical use. Due to the fact more debris is caught by the filter at lower speeds. The reduction in your electricity bill will soon mount up, and the actual purchase cost of the pump can be recovered in under two years and in some just 1 year! The flexibility of The Sta-Rite S5P2R-VS is enhanced further when connected to the Pentair Control Pro System. A clever control system that can connect and control automatic back washing, Heating systems (including Solar Thermal), Dosing Systems, Anti Freeze Protection and suction cleaning devices. Pool professionals can also utilise the additional inputs to control any of the main preset speeds. Anyone replacing their old 5P2R should really consider the money saving potential of this pump. Please contact us is you have any questions. Why see how much you could save with this online calculator. Sta-rite pump have been designed so all the serviceable parts are easy to get to. Spare part are readily available.